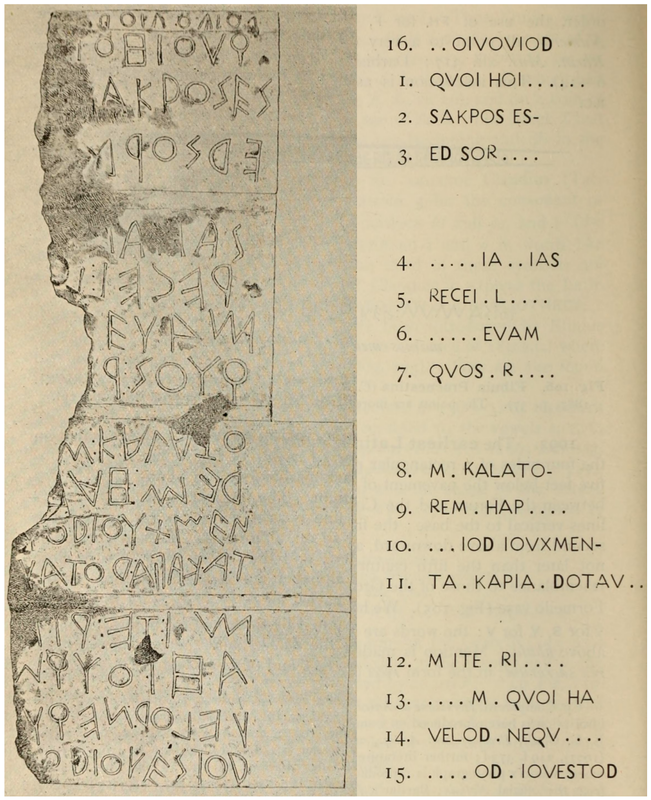 Talking of a boustrophedon below is a stone rubbing of the Forum inscription taken from the Epigraphy to John Edwin Sandys A Companion to Latin Studies. Cambridge University Press, 1913; p. 732, plate 107. This, in turn, credits Domenico Comparetti (1835-1927), Iscrizione arcaica del Foro Romano, Firenze, 1900. The full book is available HERE.